Give notice to warn workers of potential hazards and dangers in the work environment. Custom ANSI Notice Label is easy to create. 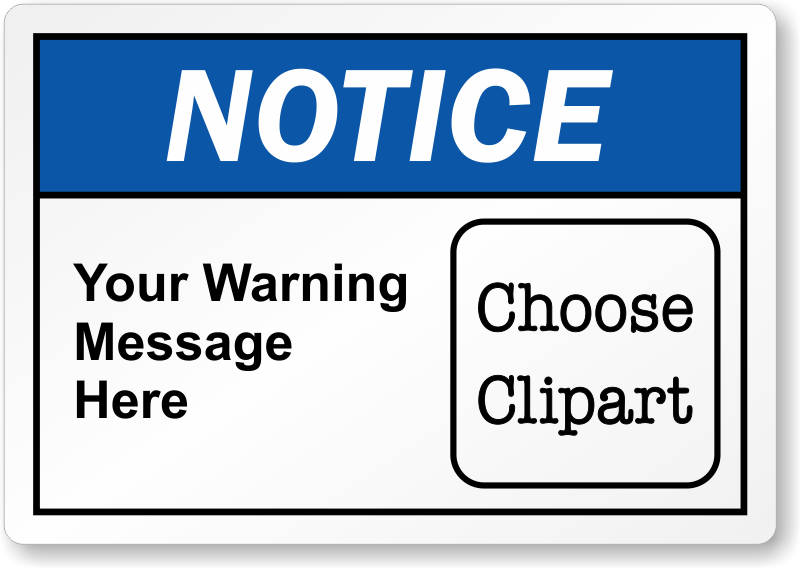 Just select a material and then personalize it with a clipart and a warning message. Label stays brand-new for years. This website is a great resource for on the go professionals. Easy 'build your own' stickers to fit the local personnel. Excellent product of heavy stock with good, sticky backing. We will watch for the effects of UV from the sun exposure and ever changing temperature extremes. Thanks.